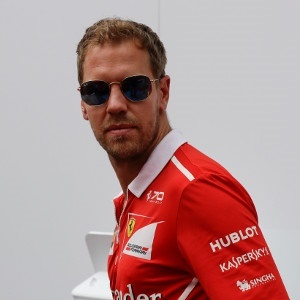 Mexico City - Sebastian Vettel boosted his slim hopes of keeping alive his world championship challenge on Saturday when he claimed the 50th pole of his career for this weekend's Mexican Grand Prix. The four-time champion German, who needs to win and hope championship leading Briton Lewis Hamilton of Mercedes fails to finish in the top five, or worse, produced a dazzling lap in the final seconds. Hamilton, who can capture a fourth world title on Sunday, was third in qualifying, edged out by Red Bull's Max Verstappen who was on course for pole until Vettel's sensational late charge. "I am so happy," said Vettel, who took pole with a record lap in one minute and 16.488 seconds. "We will attack all the way and see what we can do. "It's difficult and slippy and difficult to get everything in one lap. I had a moment in turn six, I nearly lost it there, but I knew if i could keep it clean in the last sector it would be enough. "Yesterday wasn't that good for us, but we improved overnight. I'm really happy but the race pace should be good." Hamilton was subdued, but not downcast. "Those guys did a great job. I gave it everything in the last lap. I could've been a couple of tenths of a second quicker, but it wouldn't be enough to match these guys. We're still in for the win -- I hope to have a battle with at least one of them." Verstappen was second fastest ahead of Hamilton and his Mercedes team-mate Valtteri Bottas, Kimi Raikkonen in the second Ferrari and Esteban Ocon of Force India. "I gave it all I could today and I really wanted that pole position," said Verstappen. "It just wasn't enough." Australian Daniel Ricciardo qualified seventh in the second Red Bull ahead of Nico Hulkenberg and his Renault team-mate Carlos Sainz with local hero Sergio Perez 10th in the second Force India. On a very warm, dry afternoon, with a track temperature of 47 degrees Celsius, Hamilton topped the times in the Q1 session ahead of Bottas, with Vettel fourth and Fernando Alonso, remarkably, fifth in a Mclaren. Out went Marcus Ericsson and his Sauber team-mate Pascal Wehrlein, together with the two Haas cars of Kevin Magnussen and Romain Grosjean. Frenchman Pierre Gasley was also eliminated as he was unable to run in his Toro Rosso following an engine change. His team-mate rookie New Zealander Brendon Hartley then also suffered an engine failure in Q2 and was unable to return to the pits. His car lost all power after a cloud of smoke spilled forth and he abandoned the car, taking a scooter ride to return to the paddock. This condemned him to elimination along with the two Williams men, Felipe Massa and Canadian rookie Lance Stroll as well as Alonso and his McLaren Honda team-mate Stoffel Vandoorne. The last two faced major grid penalties. Verstappen raised the bar in the Q2 session with a lap in 1:16.524, a full half a second faster everyone else - a lap that suggested Red Bull might be the team to beat. On their first runs in Q3, both Bottas and Verstappen backed off while Hamilton, with 1:16.934, went top initially only to be overhauled by Vettel and then Verstappen, who was three-tenths clear. "What are your thoughts?" his Red Bull team asked the Dutchman. "Yeah, this is good," ge replied. Almost immediately, the stewards announced they were to investigate Verstappen for impeding Bottas, reviving immediate memories of his brushes with the authorities in Texas last weekend. Verstappen was called to see the stewards after the session.